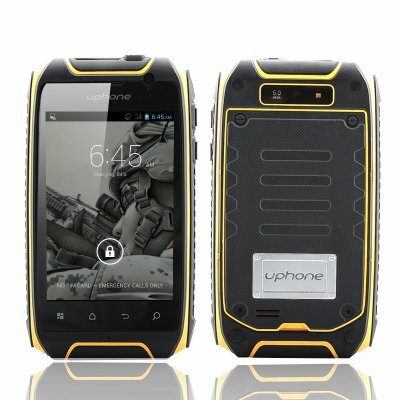 Successfully Added Uphone U5+ IP67 Smartphone - 1.3GHz Dual Core CPU, 3.5 Inch Display, Dual SIM, Waterproof, Dust Proof, Shockproof (Yellow) to your Shopping Cart. The U5+ is an IP67 Smartphone from China phone specialists Uphone, It features a 3.5 Inch Screen, 1.3GHz Dual Core CPU and an IP67 Waterproof and Dustproof rating making it rougher and tougher! Are you ready for it? Uphone has been making a number of rugged smartphones, which are all hard as nails and this device is no exception. Sporting a 3.5 inch screen and a Dual Core CPU, this phone runs the versatile Android 4.2 operating framework and is able to take on the gnarliest situations. From skiing off piste to climbing virgin peaks, or wallowing on muddy construction sites, the Uphone U5+ has the goods to tackle them all. Its IP67 rating ensures superior resistance to water and dust while the rugged rubberized outer shell protects from drops and shocks so as to minimize potential damage. This hard hitting phone lives up to its reputation and uses the outstanding Android 4.2 operating framework that gives you the freedom to customize settings and personalize this it to meet your needs. 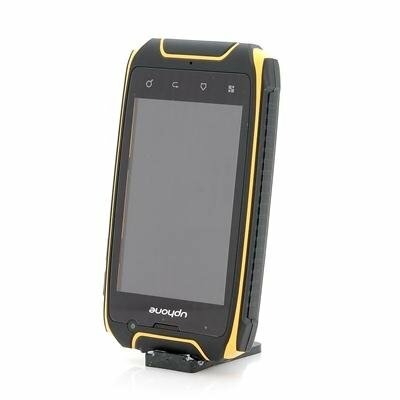 Thanks to a built-in GPS system you can safely navigate to wherever you're going and the dual SIM card support means that keeping in contact with all your friends and colleagues because two SIMs can be used on this one device. Used by thrill seekers, backpackers, engineers and construction workers, this phone is a true winner and thanks to Chinavasion’s wholesale buying power, we are able to offer it at a remarkable prices. This product is in stock now, we guarantee next working day shipping and offer a 12 months warranty on all our products. Brought to you by the leader in electronic devices and wholesale Rugged Phones, Chinavasion.